With Tregoo solar panels adventure and safety join in a single lightweight solution. Maximum performance and small size, choose the Tregoo Solar Kit suits your needs. 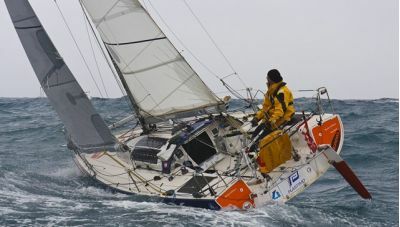 You can live your adventure relying on a clean energy source to recharge GPS, satellite, cartographers, plotter, VHF radio and everything you need on your route. Do you love Kayaking but don't want to opt out of safety in sea? 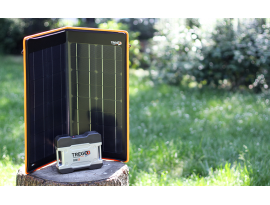 Tregoo solar kits (composed of Tregoo solar panels and batteries) can help you recharging any electronic devices such as smartphones and signal lights. In the sea don't forget Tregoo energy, choose safety. The equipment of your kayak trip should not be composed of only the normal safety equipment such as kayak lifejacket or charts, but also by a number of communication and navigation instruments that require a refill of electricity. In this Tregoo can help you. Think of a sailing day in the Mediterranean, under a gloomy sky, you are with no visible references on the coast and with the GPS down. What will you do? A reserve of energy would be providential! Tregoo warrants it, anytime, anywhere. For those who love the sea camping energy is not just a matter of safety. But it's also about opportunities, lost or caught. Imagine living your adventure kayaking in a tropical paradise; you're along a river surrounded by forest, with no trace of human life, just the sound of your paddle and from some animals far away . After sailing all day you see a sunset on the river that must be photographed ... but you find that your camera has no battery anymore! Luckly you have at hand a Solar Power Station Tregoo. Adventure, safety and poetry become one thing with Tregoo Solar Energy. At sea, river or lake bring Tregoo. Everything else will come with energy. 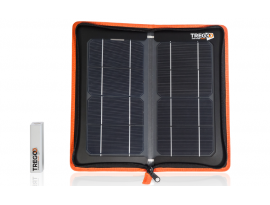 Tregoo 40-120 is a solar charger kit composed of Hippy 40 solar panel and Gecko 120 power pack. This solar kit offers up to 120Wh autonomy and, thanks to a 100W built-in inverter, it can power and recharge devices, such as notebooks and portable fridges, as well as tablets and smartphones.